We now have a charity shop and community store at The Hive, come and grab a bargain. 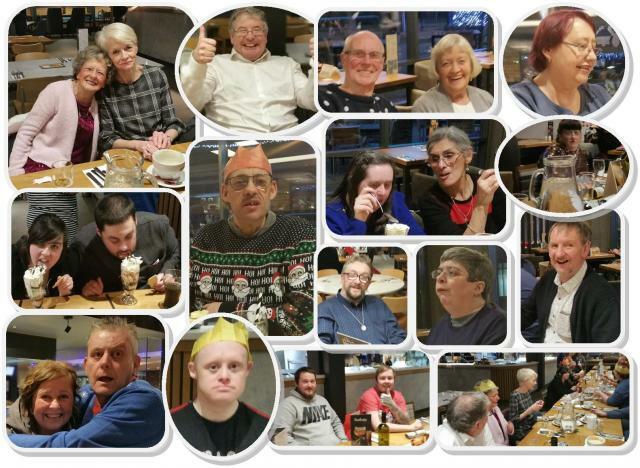 This year, The Hive had its Christmas Meal at The Beefeater Restaurant in Halifax. 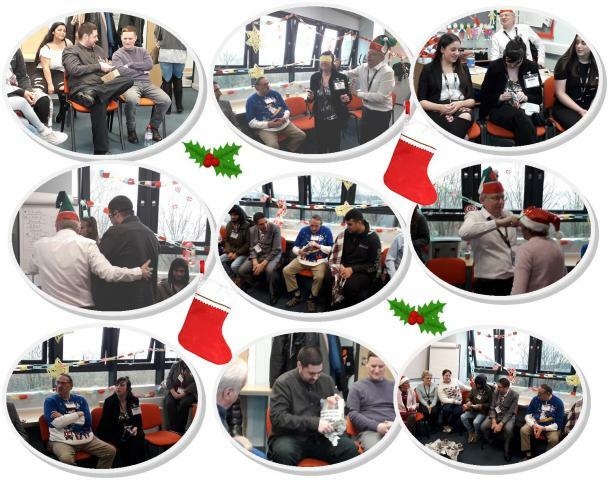 Above is a collage of the clients, staff, trustees and volunteers who attended. Although it was a bitterly cold night outside, the food, the comraderie and the lively spirit within, ensured a pleasant, cosy and warm atmosphere for all. down to Calderdale College for a Christmas party. Hosted by tutor, Andrew Korkoza, the party is prepared by year one students in Health and Social Care. The food was delicious and catered for all tastes. There were lots of party games and prizes and one of the students entertained with a few songs backing himself on guitar. 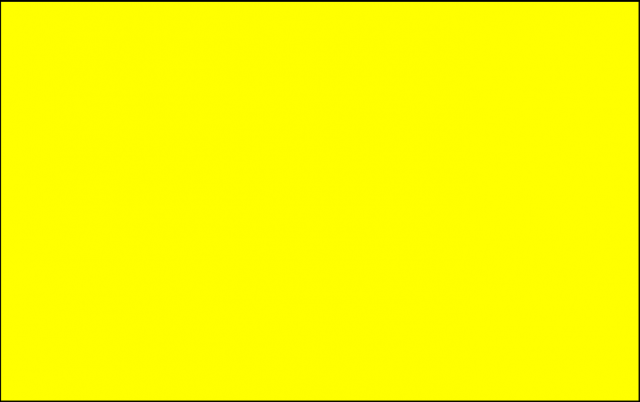 Many thanks to you all for making us so welcome. 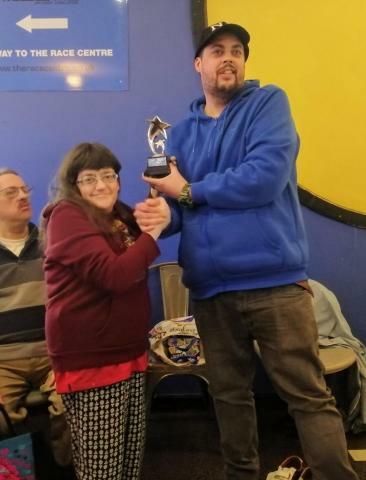 The monthly bowling competition on Wednesday, April 10th 2019, turned out to be just as close as the previous month. The lead was constantly changing hands with much banter going on and eyes peering at the score board. It became apparent that the ladies were in the ascendancy. Even in the last game, the lead changed hands several times. Eventually, a late strike won the trophy and the bragging rights for Berni. Gareth presents Berni with the winner's trophy. Halifax Rock 'n' Roll Donate Again. Our generous friends and long term supporters have done it again. 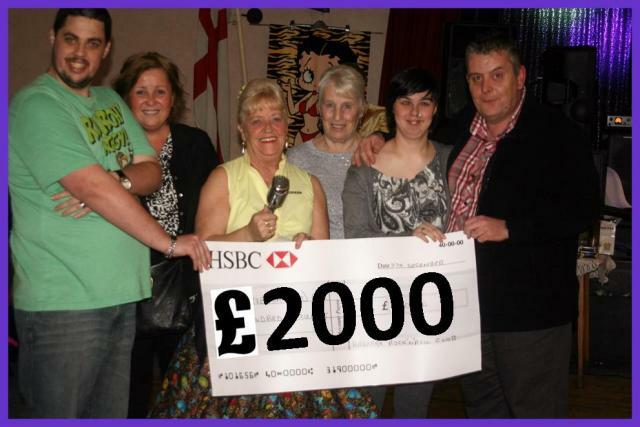 They have donated 2000 pounds to our charity. A large portion of this lovely donation came from the sale of 2019 calendars. Thank you to everyone who purchased a calendar but our thanks go mainly to the committee and members. 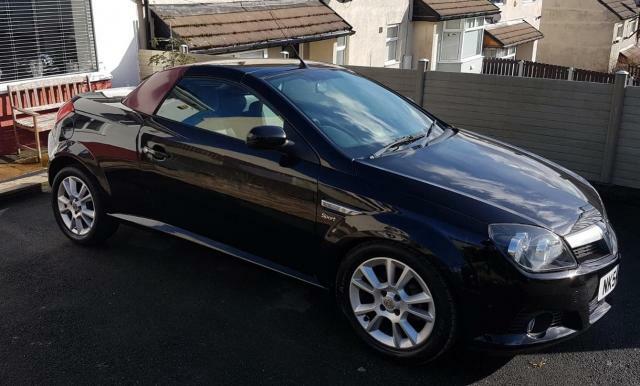 We were pleasantly surprised recently when we received a donation of a Vauxhall Tigra (pictured). It was donated to The Hive by Mrs Suzanne Farmer. Paul, our manager, has contacts in the motor trade and managed to get the car made road worthy for 174 pounds. It was sold for 1,000 pounds giving The Hive a donation of 826 pounds. Cafe Stavento at the top of Alexandra Street, Halifax is displaying a selection of art work created by the clients of The Hive. Pop in and see for yourself, Lidia would make you very welcome.